Despite Summer's best efforts to hang on, Fall is definitely in the air this week. Fall is one of my favorite times of year when those sunny, clear, warm days with cooler nights perfect for sleeping begin to ease us gently out of the heat of summer. Something about Fall always seems to make it easier to get organized and to stop putting off all those things that just seemed like too much effort during Summer's heat. 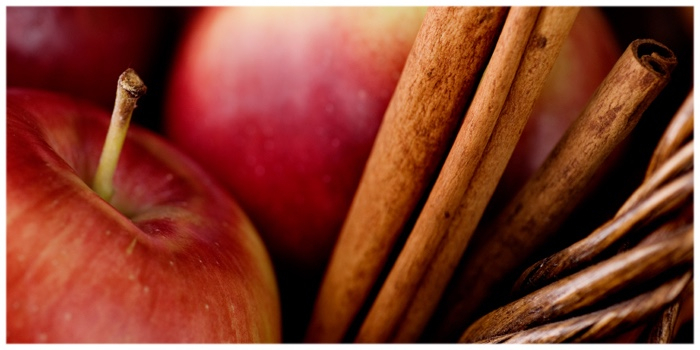 Our newsletter this season is aimed towards helping you to Float through Fall with articles on what to do about those pesky Fall allergies and a seasonal recipe to enjoy. Keep an eye out for some specials we will be offering to celebrate Acupuncture and Oriental Medicine day coming up in October. We will also be posting a blog post soon on meditation for beginners so we can all find more calm this season. Here's to a happy and healthy Fall for you and your family! While the Fire element makes Summer a time of activity, of loosening the rules and taking it easier, the Metal element of Fall calls for us to return to a life of more structure and routine. Fall is also associated with yin yang channel pair of Lung and Large Intestine. The Lung channel relates strongly to our immunity so this is a time of year when allergies can act up or those first colds start to appear. The Large Intestine channel itself travels up the throat, onto the face to the nose, so those allergies often manifest more in the nose and sinuses along with scratchy throats. 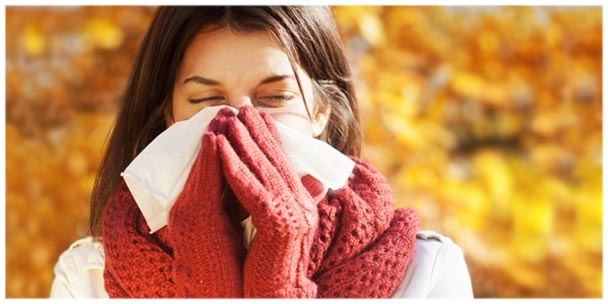 Here a some things you can do at home to help relieve some of the pesky symptoms of fall allergies. Sinus massage - Sinus pain & congestion are often present for many of us suffering from allergies. A simple sinus massage can help to relieve pain and ease congestion. This can be done as needed and can provide some temporary relief. Place the middle bone of your thumbs on either side of your nose and rub them down and outward along your nose and the upper border of the cheekbones to your temples. Repeat 30 or more times. Place both thumbs in the same manner but on your brow bone between your eyes and rub them outward along your brow bone to your temples. Repeat 30 or more times. The Immune Point - A local Master, Kiiko Matsumoto, treats an area on the forearm for helping to boost the immune system. To find the area, place your forearm on a table in a "karate chop" position resting the pinky side of your hand with the thumb side pointing up. Starting an inch or so from the elbow crease, massage the muscle that lies on the top edge of your forearm towards the thumb for about a few inches. If you press on an area that feels sore, pause there to give it a rub for a few minutes. Use a Neti pot - Once you get the hang of them and no longer feel like you are waterboarding yourself, neti pots can be great for helping to clear the sinuses of congestion and rinsing out allergens that aggravate symptoms. The best thing to do is to do it while you are in the shower to avoid soaking your clothes if anything goes awry. Warm things up -While we have all enjoyed having ice cream, fresh salads and iced tea or coffee, as the weather cools our food needs to warm in balance to keep our bodies healthy. Soups, stews and warm drinks can all be comforting this time of year. Warming spices such as cinnamon, garlic and ginger can be very helpful to the energy of the Lungs and to our immunity so take full advantage of these in your fall cooking. Now that the heat of summer is past, the bounty of fall is bring us an endless supply of delicious local fruit and vegetables. So many to choose from it's hard to decide was to eat first! Growing up, this time of year the house was filled with two scents: the ever simmering pot of sauce made from our own tomatoes and baked apple crisp. The recipe below is a very basic one which my family has been using as long as I can remember. I like to use a mix of apples, always including a tart Granny Smith or two, sometimes adding raspberries or cranberries when they're in season and some pecans or sliced almonds in the crumble add a nice nutty flavor or a bit of orange or lemon zest for some citrusy brightness. There are an endless number of ways to make this recipe your own, so feel free to experiment and create your own classic. Place apples in a 8" x 8" pan. Blend remaining ingredients until crumbly. Spread topping over apples. Bake at 375 for 30-35 minutes until apples are tender. Serve warm.